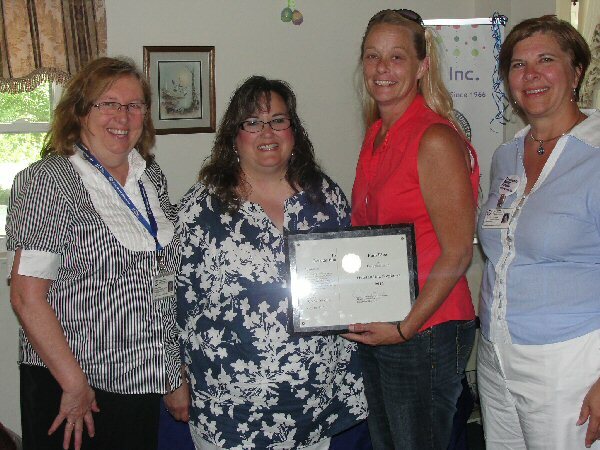 FULTON, NY – Oswego County Opportunities’ recently recognized Site Supervisor, Pam Rice as its Outstanding Employee in Residential Services. Nominated by fellow employees, Rice, who joined OCO in September of 2001, was honored for her commitment, resourcefulness, and dedication to OCO and those she serves. 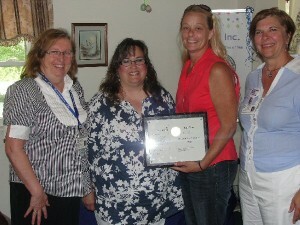 From left are: Program Manager, Christine Minor and Program Coordinator, Michelle Canfield, Pam Rice and Executive Director of OCO, Diane Cooper-Currier.